If you're building a new home or renovating an old one, heating your home is one of the main items you'll need to consider to complete your project. Even existing heating systems are often subject to review because operating costs for heating a home tend to fluctuate from one year to the next as fuels are market driven. And it's not unusual to revise your heating strategy completely to gain efficiencies and reduce your overall annual heating costs. Efficient fuel types for heating your home will also vary, depending on where you live; what is cheaper at one end of the country, may not be at the opposite end. As a first step toward energy efficient heating, buy only Energy Star heating appliances and review my energy saving tips for other ways to reduce your heating costs. As with any appliance, consumers should be careful to only buy heating appliances that are certified for use and meets their local codes and safety regulations. There are various types of electric home heating, from whole-home furnaces to multifunction units that can provide heating as well as air-conditioning. 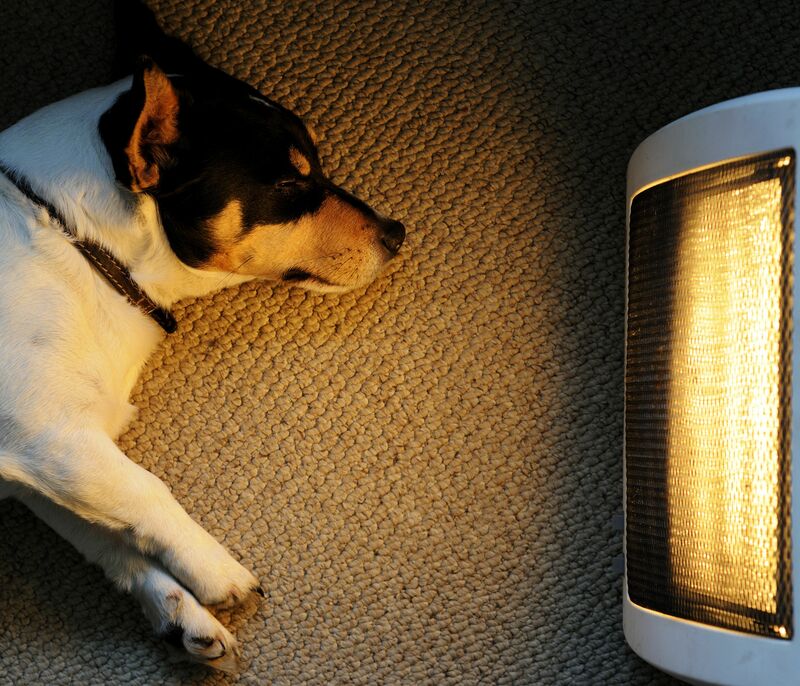 Supplemental zone heating in way of portable heaters or installed baseboard heaters can also warm up some cold areas or enhance your main heating system. Review the options available and find an efficient electric heating source for your home. In certain areas, natural gas heating is much more cost efficient than propane gas, electricity or oil. Appliances used in the delivery of natural gas include whole-home furnaces with ducting, space or wall-mounted heaters and fireplaces. Natural gas is a safe and clean heating fuel type. When you have natural gas for heating your home, you can reap more economies by using it to heat hot water, to fuel a cooking range or dryer, or the outdoor barbeque. Natural gas connections should only be completed by a qualified technician. Propane gas is very popular as a camping fuel for heating, cooking ​and refrigeration, but it's also a viable fuel for heating your home. Though it usually is more expensive to operate propane gas appliances than natural gas, in some areas, propane gas may be the only heating fuel available. Propane gas heating requires professional installation and service, and heating appliances vary from space heaters to fireplaces which can enhance your decor while supplying clean heat. When buying propane heaters, consumers should confirm where it can be used, whether indoors or outdoors. Oil heating has historically been the most common fuel for heating a home and remains the only available choice for some. But with oil prices being market driven, this type of heating may be more expensive in some areas. Oil burning heating appliances come in many different forms, shapes and sizes, from large furnaces to room space heaters and fireplaces. Installation of oil-burning appliances should be completed by a qualified technician. Hot water baseboard or radiator heating involves a boiler system with a network of hot water radiators in various rooms of the home. More cost efficient than some other forms of heating, a hot water heating system is usually installed when the home is being constructed. There have been large strides made in recent years in the efficiency and process of hot water heating systems. While the initial outlay to heat with water may be higher than some other heating sources, it's a good choice for some homes. There's another hot water type of heating that involves a combustion process with a wood-burning outdoor boiler furnace where water is heated and transferred via piping to warm the home. This heating process requires an ample supply of wood, sufficient outdoor space and compliance with local codes. For these reasons, this heating method is more popular in rural areas. Geothermal heating uses a technology that harnesses heat from below the earth to heat the home. If you live in a hot climate, you may want to consider combining heating with cooling in the same unit to reap the cost savings of a multifunction system. There are whole home central systems with ducting that include air conditioning and heating, as well as portable ​multifunction units. Ductless mini-split air conditioning systems are also gaining popularity and some have heating features. Though not all multifunction units have a heating function, some do and it can be very handy to have cooling, dehumidification and/or heating in one compact portable unit. Heating with wood, whether with a wood-burning heat or pellet stove, furnace or fireplace remains a practical and cost-efficient way to heat a home or room. However, it does require an affordable and available wood supply, proper stove maintenance and adherence to common safety guidelines for clearances and overall use. Heating with wood is quite popular to supplement an existing heat source and reduce energy costs.